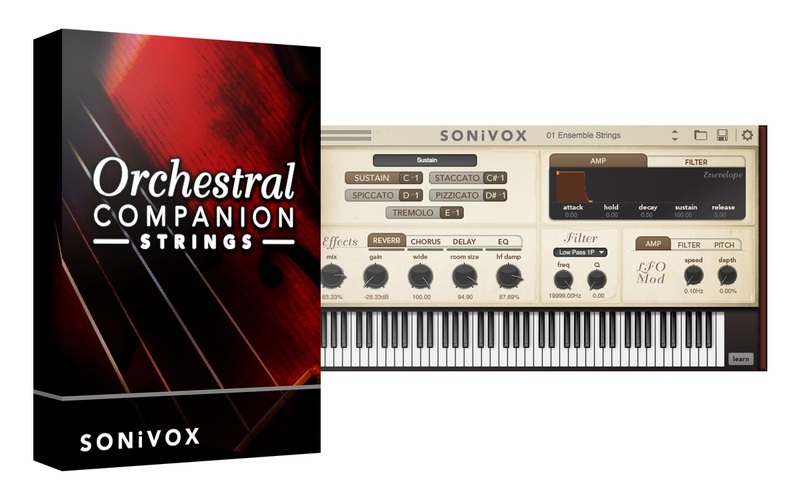 Orchestral Companion Strings by SONiVOX is a Virtual Instrument Audio Plugin. It functions as a VST Plugin, an Audio Units Plugin and an AAX Plugin. Nothing sets the mood like perfect ensemble strings in a skilled composer's hands. Here are over 90 amazing string programs, each sure to deliver a convincing musical experience. 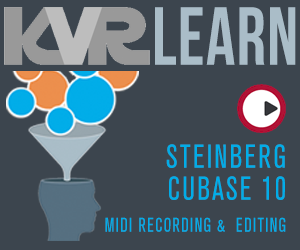 We used top professional musicians and instruments, recorded by award-winning engineers. There is a full collection of orchestral string ensembles and a complete array of individual string sections: 1st violins, 2nd violins, violas, cellos and contra basses, with up and down bowing, sustain, staccato, and spiccato, plus instrument pizzicato and tremolo articulations for convincing ensemble string parts and tracks. 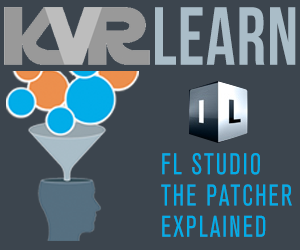 Each patch and preset is easily played by virtually any performer. Instruments are presented in multi-velocity layers, with natural swells via the modulation wheel. MIDI key switching provides on-the-fly articulation for select patches. The internal sound engine provides additional modulation (LFO) sources, dynamic envelope control, and studio-grade reverb/effects to allow creative customization of the onboard sounds. Is the Sonivox Orchestral Strings Companion worth it? Well, it's certainly worth a buck, the special price at PlugIn Boutique during the Christmas 2016 season. The good: rich ensemble and individual string sections. The full load of each section allows keyswitching between sustain, staccato, spiccato, pizziato, and termelo. These keyswitches are shown on the instrument display rather than on the keyboard and the Sonivox interface is very well laid out. Note: the pizzicato can become a snap effect by playing harder and this is for each string section. The built-in effects are usefully lush, starting with the reverb. Chorus, EQ, and delay are also on hand and each effect can be individually turned on/off and sculpted as you'd expect with feedback, wet, etc. The filter section has several worthwhile options and here drawing an envelope works slightly better (see cons below). Whatever editing you do can be saved as its own patch and these appear right at the top of the patch list. There's a MIDI learn that works fine, too. The cons: No solo strings. The load times for the instruments with the keyswitches is rather long and the ones without keyswitching are also time killers. I'm running DP8 in an iMac i7 2.93 with 32 GB RAM. The Vir2 VIONE string ensemble (with keyswitches) loads much faster as does the Kirk Hunter strings with all articulations. Both of those are loading within Kontakt, by the way, not in their own Audio Unit like Sonivox. I can't find a manual on line for this instrument, though most of it can be figured out easily. Supposedly the wrench on the interface can be pressed to bring up a manual but this doesn't work (plus it doesn't look like a wrench). The mod wheel is supposed to be useful for controlling crescendo and decrescendo. This also doesn't work. In fact, the mod wheel doesn't seem to affect anything. The so-sos: An envelope for attack, hold, decay, sustain, and release is included but is a let down. The movement boxes are fidgety and I was unable to get a remotely satisfying trail off. The decay, sustain, and release are, to be blunt, useless. There are articulations that are not included in the keyswitches such as up or down bowing. There's no stand alone app. So, is it worth a buck? You bet. If you have the time to load the patches and combine them with another companies' strings, say the Vienna strings that come with Kontakt, then it's a great deal. At the usual price of $99, I'd pass. uses huge ammount of RAM ~1GB (For full ensemble - the samples are uncompressed). they say: 'Keyboard mod wheel swells volume for intense dynamics' - mod wheel does absolutely nothing.